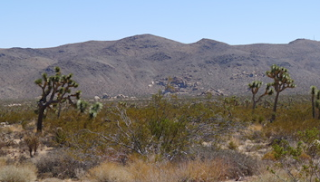 I have been woefully remiss is my writing as of late. 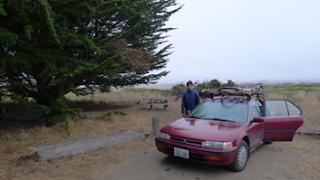 It is my intention to re-ignite my blog again. But I've said that before! 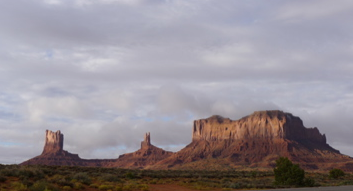 What better way to start back than to recount an amazing adventure I recently took with my oldest son around the American West! 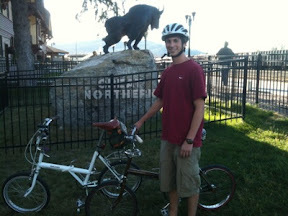 He, a recent high school grad, and I, currently in a state of employment limbo, had some unstructured time, namely three weeks, to craft the adventure of a lifetime. When would we get another chance? 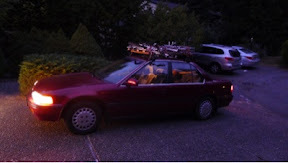 So we loaded the old Honda Accord with camping gear, two Raleigh Twenties strapped to the roof and hit the road. 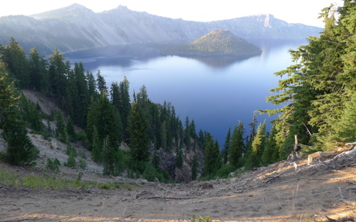 Our trip took us east from Seattle over Snoqualamie Pass, across the high plains of eastern Washington. We started up into the foothills of the Rockies ending up on the doorstep of Glacier National Park in Montana. The bikes were very handy getting us around towns particularly. Here we are at the railway station in Whitefish, MT. 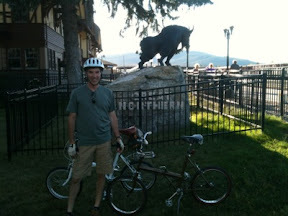 We spent a couple days in Glacier and northwestern Montana, then headed down to Yellowstone. What an amazing place. 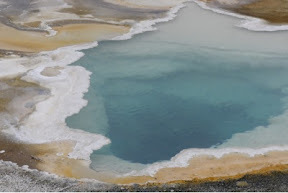 One of the deep geyser pools in Yellowstone. The colors are astounding. 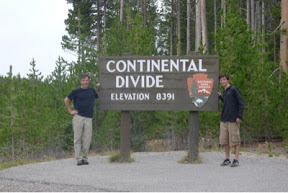 We crested the Continental Divide 4 or 5 times during the trip. Here in Yellowstone on the way to the lake. 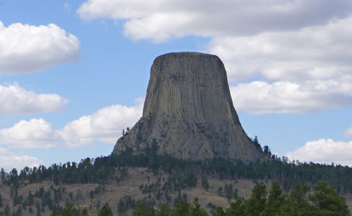 Devils Tower in north-eastern Wyoming... I saw Close Encounters back in the day. This was WAY more impressive in person. 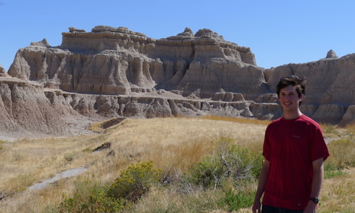 Here is my son in front of some of the natural sculptures of Badlands NP in South Dakota. They had a solar viewing telescope at the visitor center. The sun was throwing off a huge prominence at the time! We drove almost a straight line from South Dakota to Los Angeles through Rocky Mountain NP and into the red rock canyons of eastern Utah. 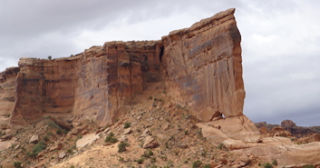 Here is the Balancing Rock in Arches NP. One of the "fin" structures of Arches NP. My favorite picture of the trip. My eldest son (I'm so proud of him!! Graduated high school this year!) 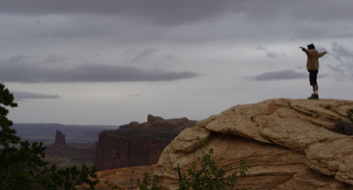 "flying" on a cliff in Canyonlands NP. Joshua Tree, NP... words cannot explain the coolness of these trees... Best visitor center we stopped at too. Check out the home made sandwiches and soup there! My favorite bird... California Raven. 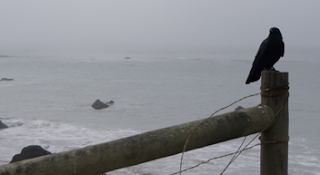 Big Sur, Elephant Seal Beach. 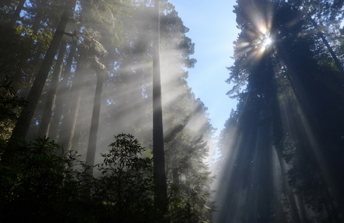 Redwoods NP. 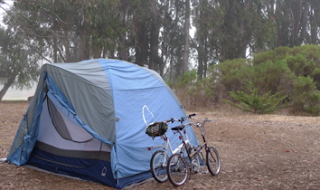 We slept amongst the largest living organisms we know of in the universe.. humbling to walk amongst them, an honor really..
Not much bike stuff here, but we had a great time... and the Twenties came in real handy. The only technical issue we had was one of the "L" shaped seat post bolts stripped and we needed to find a replacement. This was harder than it seemed, and we limped along with a coarse bolt, nut and a couple washers till we got home.